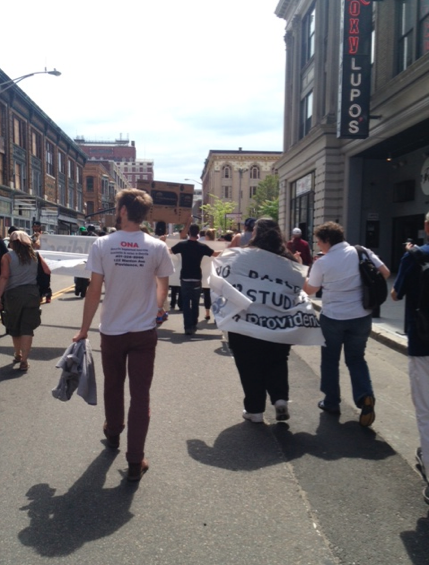 Day Two of Netroots: Is the Tea Party Racist, Van Jones? A full day of making friends. 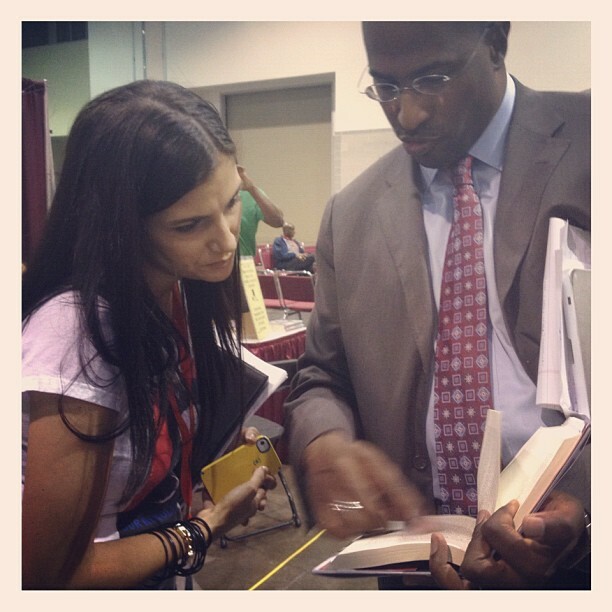 I had admitted Marxist Van Jones sign his Occupy-heavy book at which time I also asked him if he thought the tea party was still racist. “I’m not sure that I ever said the tea party was racist,” he explained. After his short book signing, he showed me several parts of his book wherein he discussed the tea party and proceeded to tell me that he never said that the tea party was racist except that they are racist. “not particularly big or new, but they were newly presented and newly branded. They punk’d the world, Ashton Kutcher-style. Not particularly big? Is Jones unaware that well over a million tea partiers marched in Washington DC in 2009? Is he unaware of how many congressional seats the tea party has flipped, how the movement is to credit for the GOP majority in the House? There is no measure of equal, or close-to-equal success from the Occupy movement — this much he begrudgingly admitted. There is, however, a massive rap sheet from the Occupy movement. They don’t have legislative or any successes otherwise, but they have defecated on cop cars, spray painted landmarks, and were caught on camera trying to cover up rapes which happened at their encampments. No “anxiety” about anything there that bears mentioning? Gateway Pundit finally got to meet his hero. Occupiers … occupied outside while the one-percenters conferenced inside. A one day pass to Netroots was around $100, weekend pass ran about $450. Why not spread the wealth and let all attend for free? 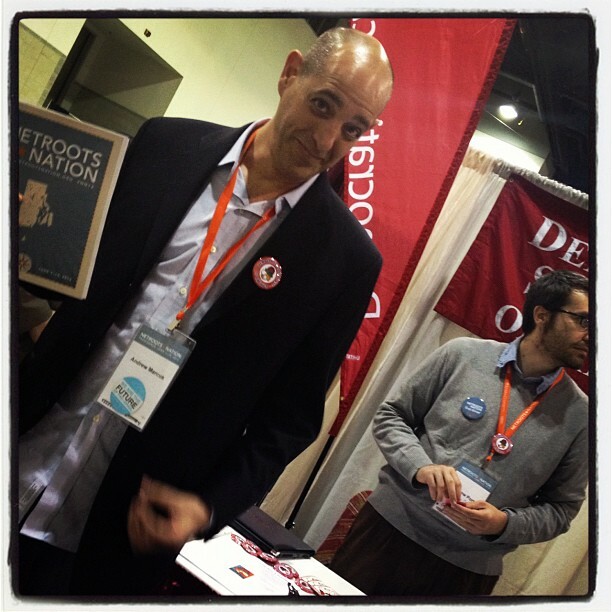 Occupy Netroots! 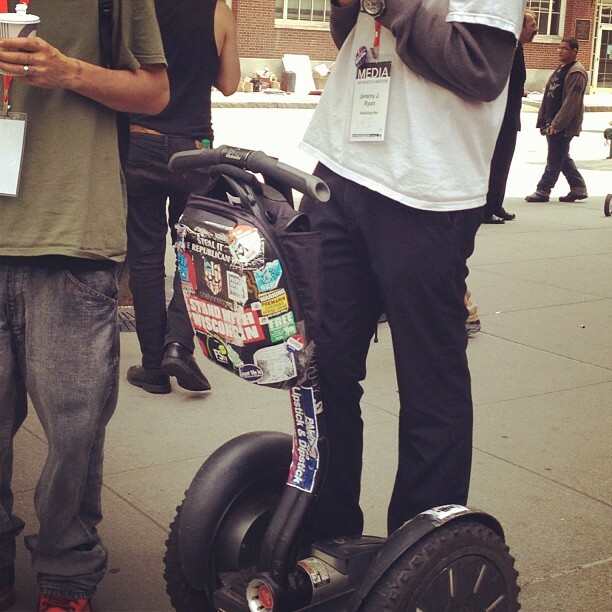 This poor, oppressed Occupier had a $6,000+ Segway. Manwich: The two factions of the Democrat party: the Former “first black” President and the current “first gay” President. Andrew Marcus of “Hating Breitbart” and a recipient of one of the first Breitbart Awards, a.k.a. Brandon Darby according to some kooky Kossacks, in front of the Democrat Socialists’ table. From my Netroots swag bag: a made in China iPhone case (look for the union label!) in front of the plethora of labor sponsors listed in their literature. Also interesting the manufacturing country on a product for an abortion advocacy group. Gateway Pundit notes the empty room to which panelist Paul Krugman spoke. The conference had all the energy of a tomb, when participants weren’t discussing their dismay over the way in which Obama and Democrats abandoned them in Wisconsin. The attendance seemed anemic. I’m not sure how it compared to attendance at past Netroots conferences, but you would think in an election year when their embattled incumbent needs as much defense as possible that they would see greater numbers. 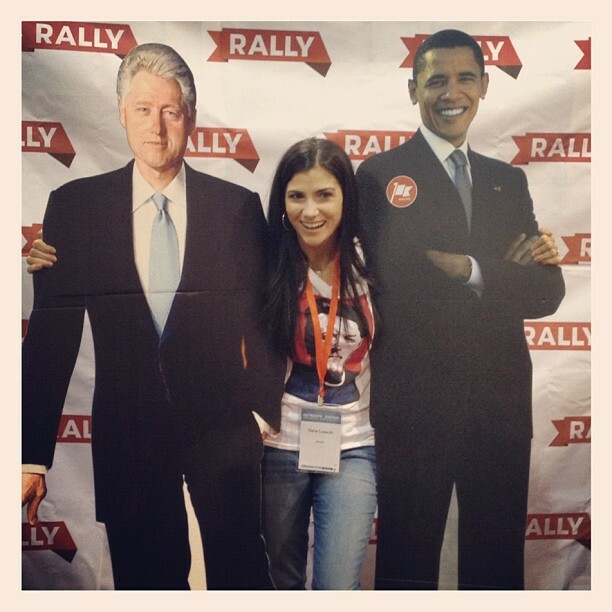 This entry was posted in Democrats, Election 2012 and tagged netroots12, tea party, van jones by Dana Loesch. Bookmark the permalink. Dana Loesch is a syndicated talk radio host and conservative commentator. 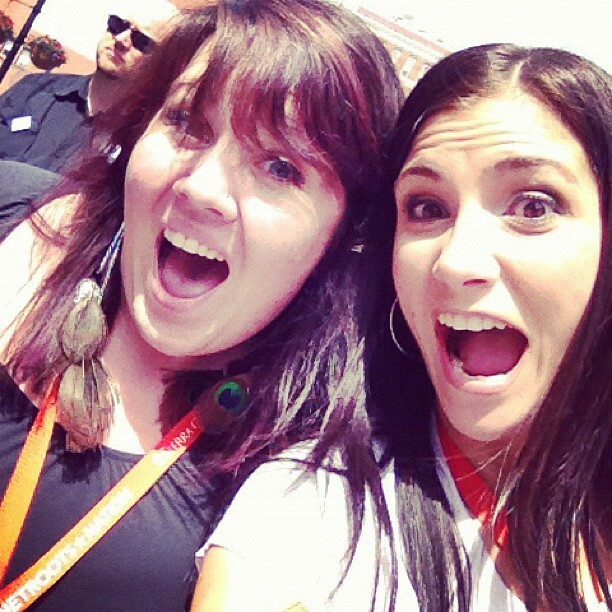 Follow her on Twitter @dloesch .